Processing chickens to cook is a natural offshoot of breeding to the American Poultry Association Standard of Perfection. Raising many birds to choose the few for a breeding program leaves those that don’t make the cut. but the extra cockerels (young males) are humanely butchered for eating. All are fed certified organic feed from hatch to butcher. My goal is to educate the public on the difference between store bought chickens, which by and large are Cornish cross birds, and heritage or Standard breed chickens. Cornish cross chickens have been developed to have an excellent feed to weight ratio and grow extremely fast with a huge breast. The birds are butchered very young, before their meat has time to develop much flavor and texture unlike heritage chickens, which mature slowly and are not as breast heavy. Here you can read the definition of a heritage chicken. Read about cooking historic chicken breeds here. I have a limited number of processed chickens available at any one time simply because that is not the main focus of my farm. Age of chickens available will vary by the time of year, younger birds (broilers or fryers) being available late winter to spring and older birds (roasters) later in the year. Stewing hens or fowl are available on occasion. Some are true heritage breeds and all are Standard Bred. All birds are plucked and cleaned, ready to cook. 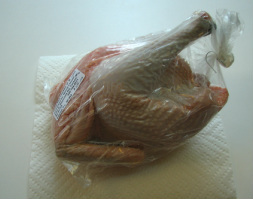 Giblets are usually included but are not guaranteed. Call 520-744-4211 for availability or to be put on a waiting list. Fresh (not frozen) chickens are processed to order. I have many birds now old enough to butcher for your table. 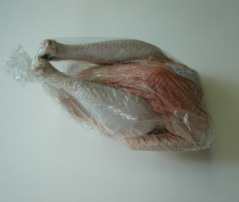 Chickens are $5.00/lb processed weight. Contact me for availability or to be put on a waiting list for a fresh chicken.